Wondering what to do with that liberal arts degree? If a customer support job isn’t at the top of your list, maybe it should be. The role of support is changing and so are the opportunities around salary and career growth. The versatile nature of most customer service career opportunities provide a range of skills and experience that make it a great place for college grads to start their careers. On the other hand, it’s great for businesses too. Recent college grads often have just the right blend of technology skills and desire to learn that makes them a great fit. While some companies treat the support team as a glorified call center, a lot of companies—especially SaaS, where customer loyalty is everything—are investing heavily in customer success. Even more exciting than the money is the opportunity to get your hands dirty. Support reps in any industry, but especially in in tech companies, tend to grow into engineers, product managers, marketers and managers. Dave Cole was excited to sign on as a sales consultant at one of Boston’s top tech startups. He was sure to be one of the only Philosophy majors to land a job with a great starting salary (check Glassdoor for average salaries in your region), and plenty of the perks that come with working at a venture-funded tech company. And he was looking forward to understanding the tech industry—from real customers who used the company’s software. Three months later, Dave was fired—and, quite frankly, relieved. Working in sales wasn’t what he’d expected. As Dave told it, he “just didn’t have the ‘sell’ bone” in him, and because it wasn’t a good fit, the work wasn’t rewarding. That all changed when he took a job at Wistia in customer support. As a customer champion at Wistia, Dave got to experience the elements of sales that he liked—learning from customers—but without the burden of a sales quota. He was constantly uncovering bugs, solving customers’ problems, and thinking about ways to give customers a better experience with Wistia. “Support is a really satisfying career, in that sense,” he told us. “You’re accomplishing something every day. It’s like a shot of dopamine to the brain.” In his two years in support, Dave estimates he had 10,000 Wistia customer conversations—that’s 10,000 shots of dopamine. Every corner of Wistia’s product. Talking to 10,000 customers means you really learn the ins and outs of a product. From troubleshooting to billing to accessing the code base, Dave had to cover a lot of ground in support. That meant he was constantly talking to everyone on the team. He had to learn about the product—it was part of his job. How to “solve problems twice.” Dave soon realized that there were two ways to solve a problem: with short-term and long-term solutions. He solved short-term problems every day on the phone, but by working with engineers and marketers, was also able to think about long-term solutions to customers’ problems. Solving customers’ problems was getting harder as Wistia grew. There were more pieces in motion and the organization was less nimble. When someone encountered a bug, it was harder to go tap an engineer on the shoulder and fix it on the spot. It was time for a Product team. When it came time to have their first Product hires, Wistia chose the person who knew the product and their customers inside out: Dave. “Product teams need someone who knows the landscape of the product, knows the customers, and knows the team,” Dave explained. Without even knowing it, working in customer success had trained Dave to become the ideal product manager. His experience in support affected the product right off the bat. 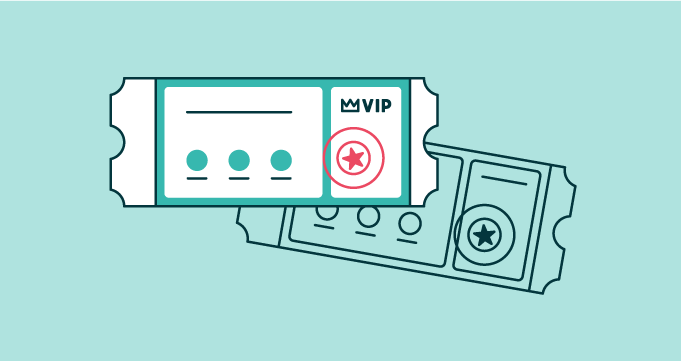 A number of customers had trouble embedding their Wistia-hosted videos on their website. Dave mapped out a plan for integrations that would make this easier for customers to do on their favorite platforms without touching a line of code. He’s still doing what he loves—solving customer problems—just in a different way. Support can be a stepping stone to other jobs, but it can also be a rewarding career on its own. Michelle Shao actually left a lucrative job in finance to work in Customer Success at Mattermark. And like Dave, she finds her customer-centric job challenging and rewarding. A deep understanding of APIs: Some customers struggle with deploying Mattermark’s API in new ways, which means Michelle had to learn a lot about how to query APIs, how they work, and how to explain them to non-technical people. How to package a new product: Since Mattermark is still building out new products for their database and packaging them, Michelle has to figure out what customers want, and how to package it. For example, when people were having trouble accessing historical Mattermark data, her discoveries helped inform a new package: the Google sheets add-on. Maybe Michelle will move in a Product direction, like Dave. But learning skills like these means she’s well prepared for all kinds of positions, including management jobs in support like VP of Customer Success. Half of American workers aren’t fulfilled at their jobs. Studies repeatedly show that while salary is a factor, the things that lead to job satisfaction have more to do with how cognitively challenged you are at your job. Are you contributing every day? Are you learning new things? Perhaps most importantly, are you progressing and getting better at what you do? 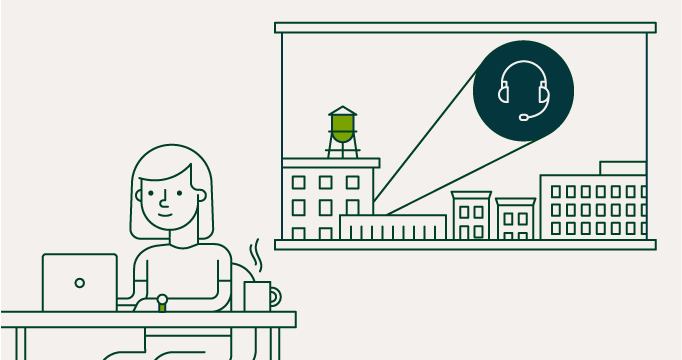 Support is the perfect place to learn how businesses work and what makes customers tick. You can dabble in new areas, develop new skills, learn every day and even make a great salary along the way. So take note recent college grads—a great attitude and the desire to learn quickly could land you a gig that supports you.